North American General Contractors Inc. is a full service Industrial Contractor offering a wide range of construction services to the industrial manufacturing and processing community. 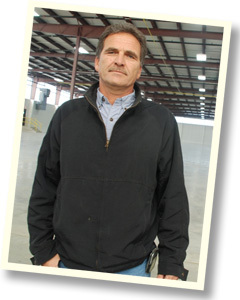 Our goal is to provide a high level of service and workmanship to our customers in industry. We are a full-service industrial general contractor offering services from the most basic as building repairs to design and build of the most complex structures and process facilities. We also offer design and build of pre-engineered steel buildings. We employ key people from all the trades to perform the majority of any project such as master carpenters, welders, concrete and masonry journeyman, as well as experienced equipment operators. Our top employees with a combined experience of over 150 years in the industry are trained from the beginning to recognize the importance of working in a manufacturing environment. Safety and housekeeping are strict requirement and part of a daily routine of our company as it is with all of our customers. The majority of our clients are repeat customers ranging from 10-20 years of working relationships. Through our alliance with North American Electric and Industrial Mechanical Applications we have the capability for any industrial application or project from the basic to the most complex. We have built our company on our reputation, which speaks for itself.